CPC Plastics, Inc. has offered expert plastics services in over 100 cases involving plastics for the Medical, Automotive, Electronics, Military, and Consumer products, and for U.S. Government and State Law Enforcement Agencies Criminal Cases involving Plastics. DOT Compliance Help, Inc. (DCH, Inc.) is a privately owned consulting firm specializing in the interpretation and execution of the regulations and guidelines set forth by the Department of Transportation Federal Motor Carrier Safety Administration. ASD Experts is led by Dr. Michael J. Dreikorn and we can provide you with the technical experts in various fields to perform analysis of the facts and represent their finds at your request. Our credibility in the area is founded upon our rich experience and unquestionable integrity. Eagles Eye Consultants, LLC, led by Mr. Ron Conlin, provides litigation support services on issues related to safer work place environment, LP services, and partnerships. ELA was formed to provide the legal community with an integrated team of consultants and expert witnesses in the environmental sciences and engineering. ELA is comprised of senior scientists and engineers with exceptional technical ability in one or more scientific or engineering disciplines. Fire & Life Safety Concepts, LLC offers performance based Fire Code consultations, training, and inspection services. 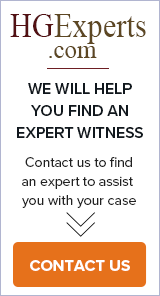 George Meyer has been an Expert Witness since 1990. With over 40 years of experience as a professional rider, trainer and coach, he is a recognized authority in the equestrian industry. As a rider he has won Grand Prix.